At The Law Office of John J. Leunig our sole focus is to intelligently and vigorously defend every client in every case, regardless of the subject matter, leaving no stone unturned and nothing to chance in the pursuit of truth and justice. We are a law firm located in Bloomington, MN that specializes in criminal defense. The outstanding results we achieve day in and day out is the end result of long hours, hard work, meticulous preparation and intelligent execution in the courtroom. Our pledge is to relentlessly pursue every angle and every strategy at every stage of the proceedings. We have the experience, resources and energy necessary to take on any case, no matter how big or how small, or how daunting the fight, and we will tirelessly litigate it for as long as necessary to achieve justice for our clients. There is no case that our law firm cannot handle. When the stakes are high and you or someone you love is in trouble, you can rely on our vast experience and skill at trial to develop an intelligent, imaginative and relentless defense. 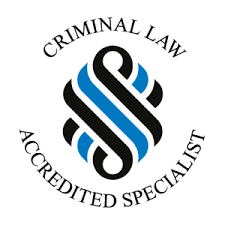 All of our distinctions and significant victories are the result of our total dedication to excellence in the field of criminal defense. Attorney John Leunig is licensed in Minnesota and Wisconsin and attorney Justin Duffy is licensed in Minnesota. The law firm has represented clients in numerous other states as well, in both the State and Federal courts. For a free consultation, please call our Minneapolis office at 952-540-6800 or complete the online contact form if you prefer. We take calls 24/7. The Law Office of John J. Leunig is located in Bloomington, MN and serves clients in and around Maple Plain, Savage, Burnsville, Eden Prairie, Mendota, Hennepin County and Scott County.